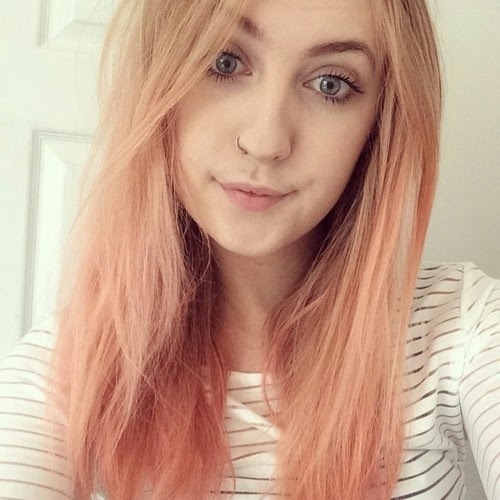 How I achieved peachy pink hair using the Bleach London Super Cool Colours. I've never really been a hair expert but I'll always give it a go, with Reading Festival coming up in a few days and a holiday to Florida I decided to try something fun and new. I'm not the best at explaining or tutorials but this is a brief, and I mean brief guide to what I did. First of all I parted my hair into sections working on the lower half first. As I wanted a mixture of the shades nearer the ends of the hair I applied Awkward Peach from the root to midway, then applied Rose. I then repeated these steps with all sections until the top layers. For this I mixed the two and applied to the full length. 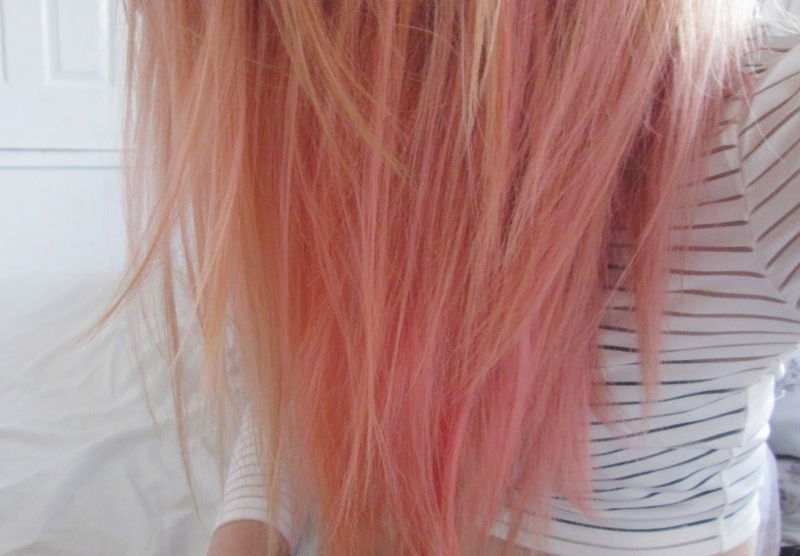 Leave for 10-15 minutes depending on the vibrancy you'd prefer and rinse - WITHOUT SHAMPOO! I made the mistake of doing this countless times because apparently I cannot read instructions even if they're quite clearly written out for me. As my hair is a little damaged, I left conditioner in until I was ready for bed. 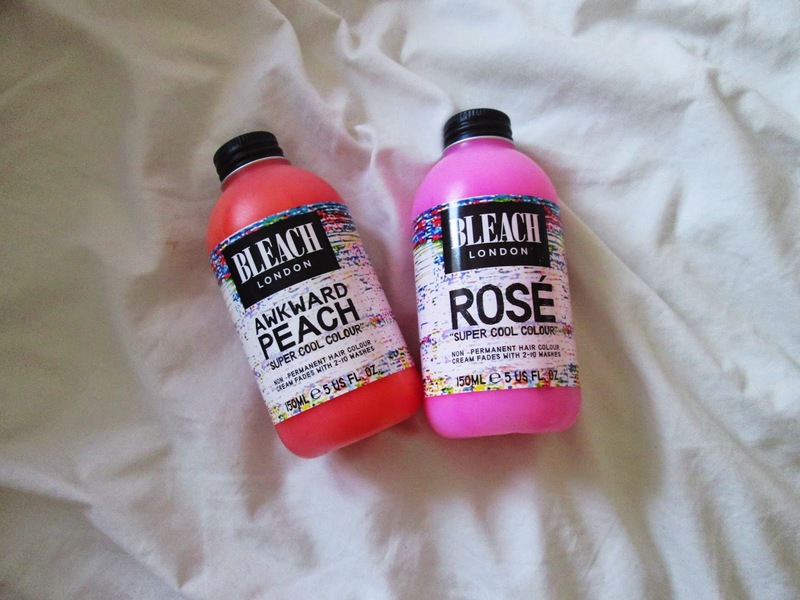 I have to say Bleach London dyes have very rapidly become my favourite "go to" brand. I'm always on their instagram looking for ideas. I have a growing collection that will defintley be tried at some point. The cream colours last a good amount of time and gradually fade which I like because in some previous experiences with other brands in the fading process, there have been some serious patchy issues. At £5 a bottle, they're defintley worth a try. I'm hoping to maybe even pop into one of the two London based salons soon. TIP: invest in gloves, my hands have a pink tinge. Any one else used Bleach products before?